*Work on this project was performed by Tom Rieger while with Street Lundgren & Foster Architects. 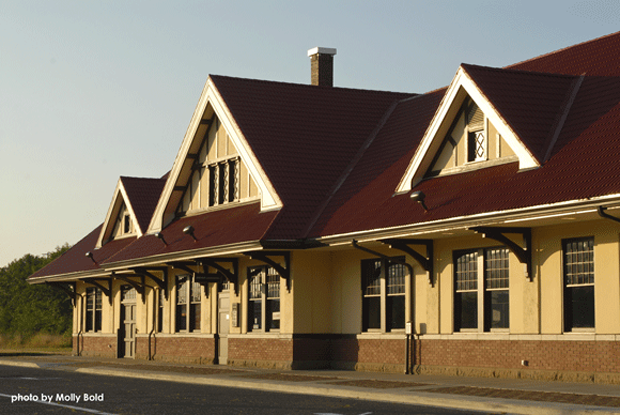 The restoration of the historic 1914 Hoquiam Train Depot began in 1989 with a local citizen’s group called “Save the Train Station”. The community rallied around this effort, and after years of dedication, the depot is once again a major attraction and jewel of the downtown. The station had not been used for many years, and the interior of the building had been gutted, losing many of the existing details prior to the start of restoration efforts. 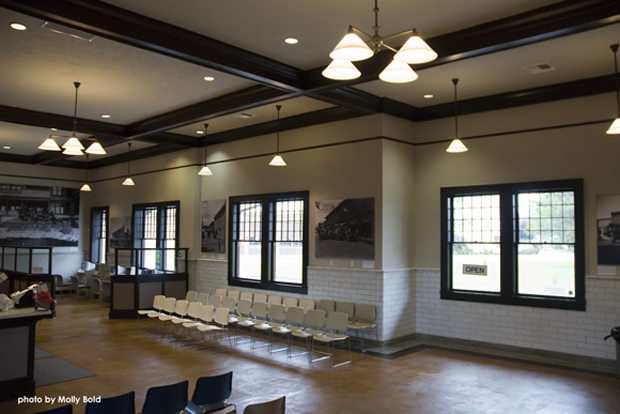 Using the original hand-drawn construction drawings as a guide, we meticulously re-created many details, including window and door casings, ticket counters, picture rails, glazed tile wainscot and lighting fixture layout and fixture style. The exterior of the building received patching of damaged plaster, new gable end and dormer treatments, new wood windows as required, new wood doors, new brick paved entry walk, and a fresh paint job. 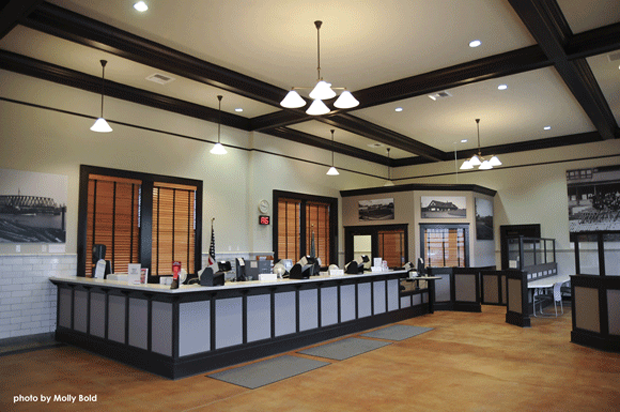 Now the home of the Department of Licensing, the Depot attracts more than 2,500 people per month to downtown Hoquiam, and has served as the catalyst for further restoration and development efforts in town. “2009 Best Regional Special Project” from Washington State Department of Transportation. How not to prune a city tree. © 2019 Welcome All Rights Reserved.